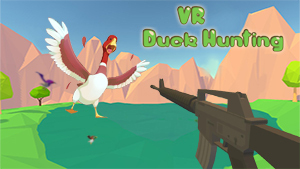 VR Duck Hunting is a google Daydream game. It renews experiences of classic Duck Hunting games like using physical pistol to shoot in Nintendo’s Duck Hunt on SNES. Players will use controller as a powerful weapon to shoot as many ducks as possible and turn 360° to emerge in amazing scenery of all year round: spring in a peaceful grassland, summer in vast ocean, autumn in wooden forest and winter in snowy lake. 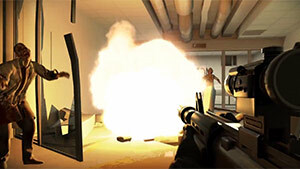 The 2012 high-speed action puzzler making its way to VR as well. 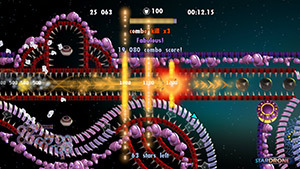 StarDrone is a high-speed action puzzle with a mix of arcade action, pinball, breakout, and collect-the-objects. In StarDrone, you pilot the always-in-motion space drone through diverse astronomical scenes in order to beat each of all levels’ goals. Justice League VR follows the movie and lets you become Batman, Wonder Woman, Flash, Aquaman or Cyborg. The game to be released prior to, during, and after the theatrical opening of Justice League, on November 17, 2017. 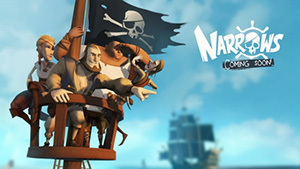 Narrows, a game of swashbuckling pirate adventure. Narrows will follow the studio's wildly successful VR fishing game Bait!, the carnival-themed mini-game collection Wonderglade, and the classic card game Solitaire Jester. So Let Us Melt is a sci-fi fairy tale, an episodic interactive animated film for Google Daydream. The game is from the developer of Everybody's Gone to the Rapture. 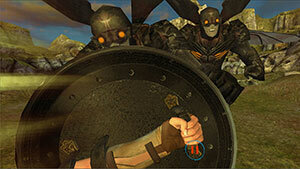 The game tells the story of a machine calls Custodian 98 and his epic adventure that spans over ten million years. It's a game a game about friendship, gardening and singing that was inspired by 70s sci-fi movies. 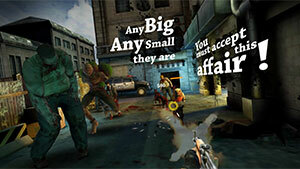 Death Horizon is a zombie-themed first-person action shooter where the player fights in a zombie-infested laboratory where a deadly virus has broken free and turned all the employees in that place to walking zombies. You play as a survive who was uninfected by the virus, and now fights to save humanity by trying to locate the source of this epidemic and end it. Spark of Light is a fantasy and magical VR adventure game with puzzle-solving elements for Gear VR. You play as a little boy called Nerow, who is on a quest to help his friends wake up from their eternal sleep by bringing back the Sun-Bug who was abducted by a greedy mothking and therefore bring back light into the magical Dreamscape and save the day. 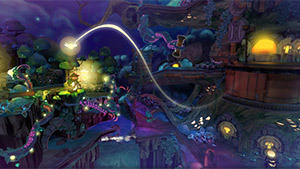 A gorgeous vivid and inspiring adventure game. Available for Gear VR, coming soon to Google Daydream. Drift Racer VR is a car racing game for Google Daydream, where you race against the clock to unlock all 14 tracks. 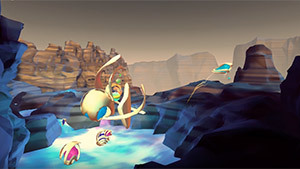 Players earn points by completing drifts and linking them together. 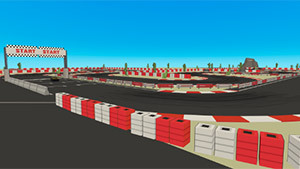 The game features realistic physics and 21 unlockable cars which can be purchased using Drift points which are achieved when completing races. Daydream is a brand new VR platform from Google, announced at Google I/O 2016 (May 18th, 2016). Many people were expecting Google to reveal a standalone, but Google has chosen to go somewhat in a surprising direction. Daydream is actually a virtual reality platform, that consists of both hardware and software. It defines a set of required hardware specification that its hardware partners should comply with for their headset to be a Daydream-compatible headset. On the software side, Daydream relies on Android N operating system and is actually a part of it. The software enabled a dedicated VR mode that can communicate with platform related hardware and provides users with a VR-only user interface. Daydream platform will enable very high-quality mobile VR on Android smartphones, but not all Android smartphones are compatible with Daydream. Google shared the Daydream design reference with some of its hardware partners so they can start working their own Daydream-compatible headsets. The new platform will be compatible only with Android N (It's not the final name though, Google has given users the option to help in finding a name for its next Android OS). The device has to meet the minimum specifications to be able to run the Daydream platform, and by doing so, Google made sure that if you have a compatible Android device, you'll get the best possible mobile virtual reality experience Google wants you to have. This way, developers will also be able to optimize and target their virtual reality games and apps to match those relatively high hardware specifications; which for us, the gamers, this obviously means higher quality games. A Daydream-compatible headset worsk the same way Gear VR works, by inserting the phone into a compartment in the headset itself in order to power it. We are probably going to see many types of Daydream-compatible headsets from different manufacturers in the near future, which is always a great thing. More competition means lower prices. We can also expect those headsets to cost lower the Gear VR, but that still yet to be seen. Google worked with various mobile phone manufacturers and guided them with information about the minimum hardware parts that is needed to make them Daydream-ready and make those future phones a perfect fit for its platform. 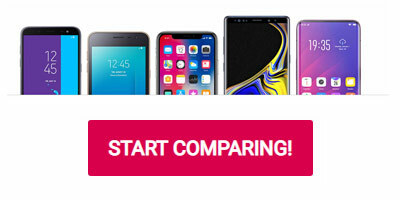 There are already phones from various manufacturers, like Samsung, HTC, LG, Mi, Huawei, ZTE, Asus and Alcatel, which are already meet those minimum hardware specifications and even surpass it. Furthermore, much more Daydream-ready smartphone will be arriving this Fall. [update] On May 19th, Google confirmed that it will be releasing its own first-party branded Daydream headset and a controller. At Google I/O 2016, Google also introduced a new and very simple motion-tracking controller to make the whole VR experience even more immersive and enjoyable. Daydream platform will obviously deliver a much better VR experience than Google Cardboard does. I don't think it is the end of the Carboard, not so fast. I think it will still be a cheaper alternative to Daydream. Google also hopes that in the near future, most of the smartphone that people purchase will be Daydream-ready, and therefore more people will be able to enjoy this amazing mobile VR experience that Google really wants you to have. Google also plans to add a completely new VR section on Google Play, it's Android app store. A section which is completely separated from the other non-VR apps and games. This will make it more convenient for users to search for and download VR specific content. Speaking of which, there are already several studios like Ubisoft, EA, nDreams, Climax, and others, who are working on some brand new titles for Daydream. Google also mentioned in the event that many of its popular services will get a VR app for Daydream, including Street View, YouTube, Google Photos, Play Movies and Play Store. All of the Daydream apps and games will reside in an app that Google calls 'Daydream Home', a place where you can browser through all your Daydream VR games and apps, and also discover many new ones as well. In this page, you will be able to find detailed information about the latest and upcoming VR games for Google Daydream mobile VR platform, accompanied by game previews, reviews, gameplay and trailer videos, user opinions and user rating for each game. All the games in this list should work with any Daydream-compatible VR headset. Daydream is planned for Fall 2016 release. We'll update this page when more information when it becomes available, so stay tuned and visit us often.